Where Will I Live on Remote Year? Though so much of what brings people to a work and travel program has to do with cultural experiences, extensive and sustainable travel, and joining a supportive community, at the end of the day you want to know where you’re going to lay your head. It’s true - though so much of what brings people to a work and travel program has to do with cultural experiences, extensive and sustainable travel, and the opportunity to join a supportive community, at the end of the day you want to know where you’re going to be laying your head. Unlike on a short-term vacation, where your hotel or Airbnb serves solely as a place to sleep and bathe, you’ll be spending an entire month in your Remote Year accommodation. You’re likely to make breakfasts in your kitchenette, chill with your community in your common spaces, and maybe even choose to work from your home away from home for a few days. This is more than a temporary space. You want to know that the room you’ll be staying in will be secure, clean, and comforting throughout your time in each city. What you may not expect is that each accommodation will also be culturally-unique, giving you the opportunity to live like a local, instead of a tourist who is just passing through. What can I expect from Remote Year accommodations? Much like the workspaces that Remote Year coordinates for participants in each city, each destination’s accommodations will have their own individual vibe and layout. No two are the same! However, there are a few things that you can expect to have in every Remote Year apartment. You’ll become incredibly close with the other members of your Remote Year community, but we’re guessing you’re going to need a bit of “alone time” too. That’s where your private bedroom comes in. This will be your personal sanctuary, a place where you can relax after a long day of work. Here’s the real kicker: we’ve got your back. Travel is unpredictable, and so is life, so things are bound to go wrong once or twice on your adventure. If you need maintenance help with your apartment, our on-the-ground team will help you solve the issue. Sometimes, you’ll have an entirely private apartment, and sometimes you will share a space with one or more roommates from the Remote Year community. You will still have a private bedroom (that’s a guarantee! ), but common spaces like living rooms, kitchenettes, and bathrooms may be shared. So here’s the thing about traveling to a new city every month: things are going to change. No two cities are the same, and your apartments won’t be either. The size, look, and vibe of your accommodations will vary over the course of your time on program, but that’s the beauty of travel. 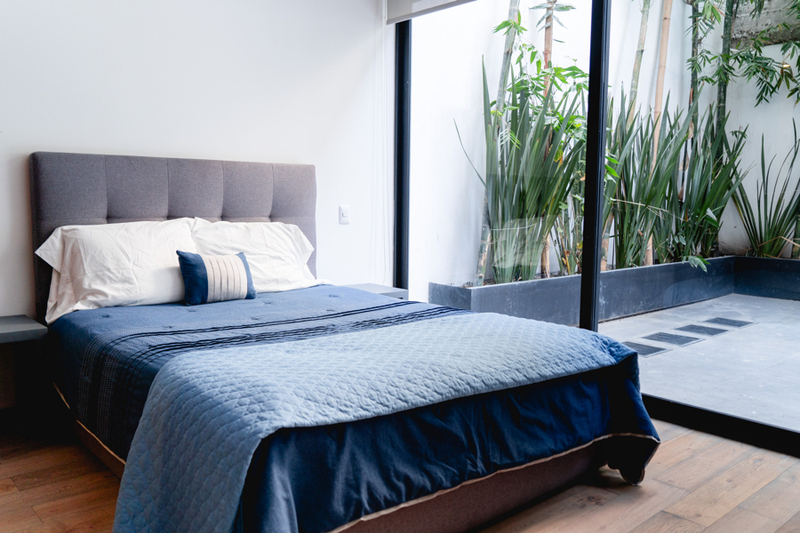 For example: apartments in Kyoto can reflect the clean lines and smaller sizes that are common in Japan, while your place in Lima could reflect the warm, contemporary style that is popular in the South American city. Some apartments have a desk, while others may have a small table that you could answer a few emails from. If you’re having trouble focusing in your apartment, we always recommend working from the 24/7 workspace. The cost and availability of amenities will differ from city to city. Some Remote Year apartments will have pools, or equipment like printers for you to use, while others will not. Some Remote Year apartments will have outdoor common spaces or balconies that you can enjoy with your community, while others won’t. Thankfully, you’re in a brand new city full of incredible opportunities to get outside. You heard us, get out there! And now, what you’ve been waiting for: a sneak peek into what a Remote Year apartment can look like! We asked the Remote Year community to weigh in and tell us about the accommodations that they lived in over the course of their time on program - and why they loved them. It’s easy to see why Remotes love this accommodation in Kyoto - it’s less like an apartment and more like a large home! Though this place is not necessarily representative of the entirety of accommodations that Remote Year provides, it was so well-loved by Remotes that we knew we needed to show it to you. Let Justin, a Balboa Remote turned Citizen, show you around. Knowing what your apartment will look like as you travel the globe is both comforting and motivating. Can you picture yourself living in any of these apartments? Hundreds of Remotes have taken the leap and made these accommodations their home away from home for an entire year. Are you next?